Stuart joins Gavin Turk, Richard Wilson, Marie-Claire Porter and others to support the Barbican Center Trust. 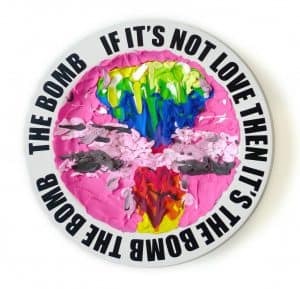 Leading British artists have come together to create unique artworks around bespoke ceramic plates to help raise funds for the Barbican Center trust. 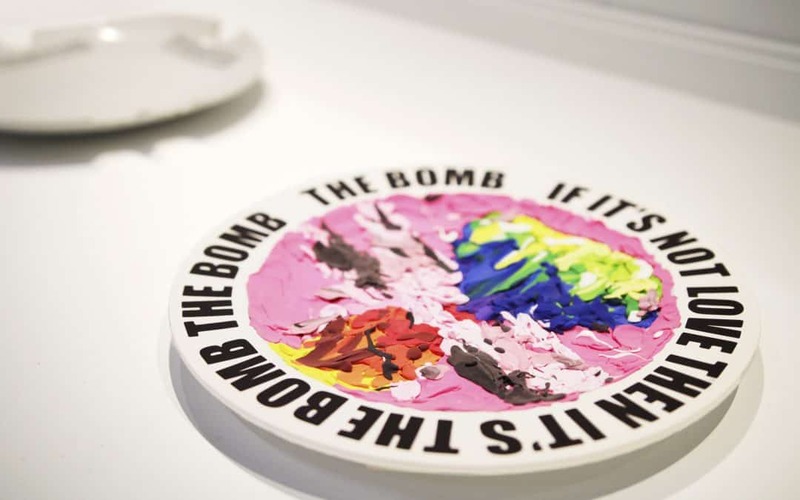 The one-of-a-kind plates are now on display in the Barbican’s foyers until 11 March 2018 before being auctioned later this year. Stuart Says “The Barbican is a really important space, and in inspiration to so many, it’s important to show it some love and support – the educational projects they do are amazing! and it’s great to have been able to make a little something that might help a little bit”. 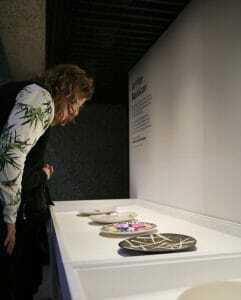 You can see Stuart’s piece until Sunday 11th March at the Barbican in London. All proceeds from the sale of the plates will go to the Barbican Centre Trust, a charity dedicated to supporting the Barbican’s international arts and learning programme. Last year, the Barbican programmed 3,800 events across art, dance, film, music and theatre while its Creative Learning programmes and events helped almost 80,000 people of all ages and backgrounds to access world-class arts for free. The plates project has been led by Geoff Leong with support from The Kiln Rooms, three open access ceramics studios in Peckham.